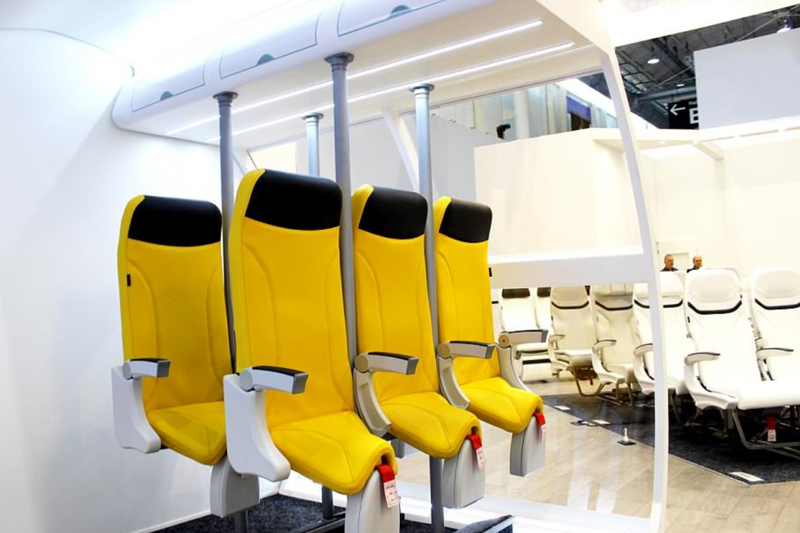 PLANES of the future could one day have beds, sofas and and even standing seats. 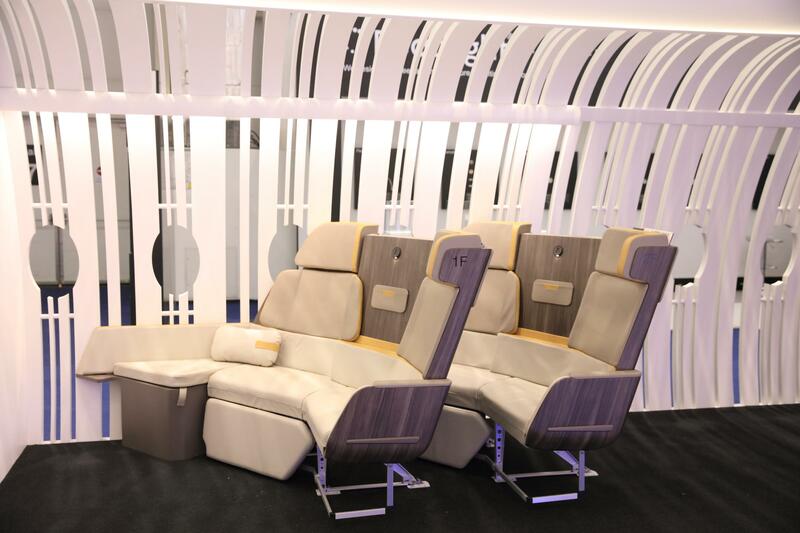 A new range of designs were recently revealed at the Aircraft Interiors Expo 2019, an annual event showcasing the latest aviation designs. 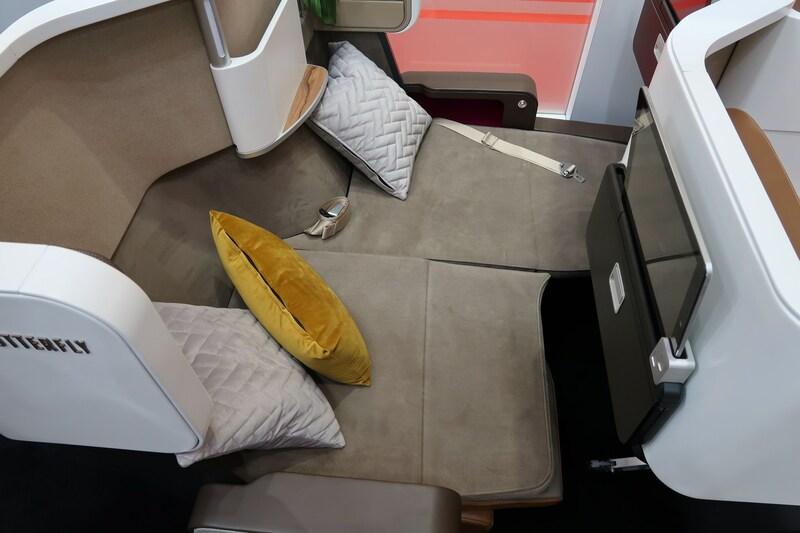 Along with food, cabins and tech, the plane seat is often something that is looked at to be improved especially when it comes down to comfort and space. A range of designers have introduced what they think will be the next big change to plane seating. 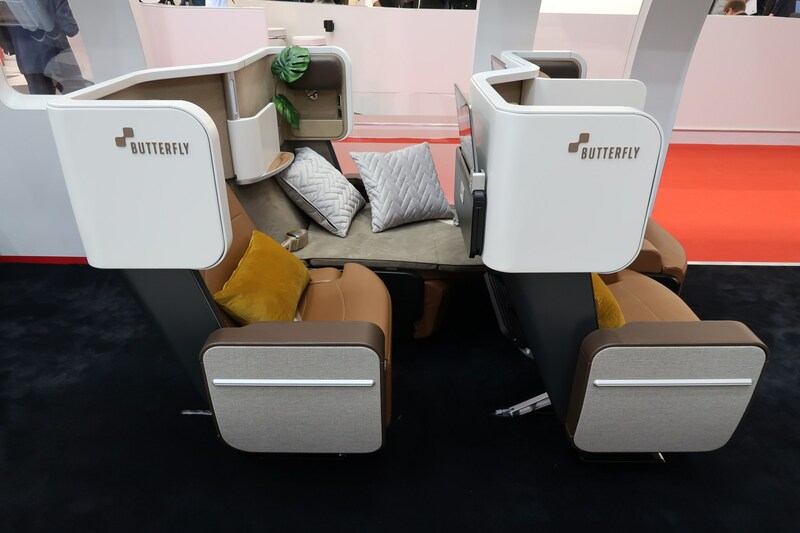 Hong Kong seat manufacturer Butterfly has found a way to have a bed using two seats. Currently, passengers wanting to lie across two spaces have to sleep on the narrow seat. According to The Points Guy, the new design, however, would allow the seats to fold down using built in mattress pads to create a z-shape bed to be able to curl up and lie down. 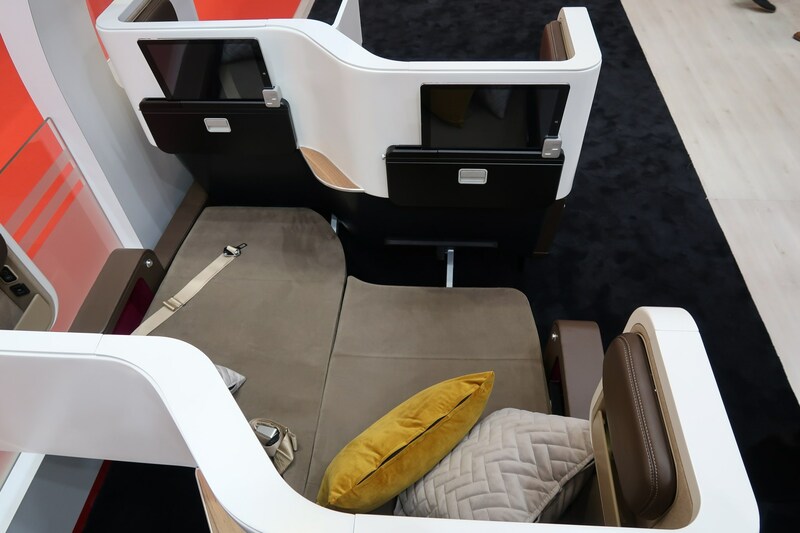 It measures at 190cm (6"2) which is similar to a business class bed, making it a perfect option for passengers willing to buy two seats instead of upgrading, or are travelling with a child. There were downsides however – some passengers did not like the idea of sleeping at an angle, and the seats themselves cannot recline. The Points Guy also revealed a new staggered economy seating plan, designed by seat manufacturer Molon Labe. 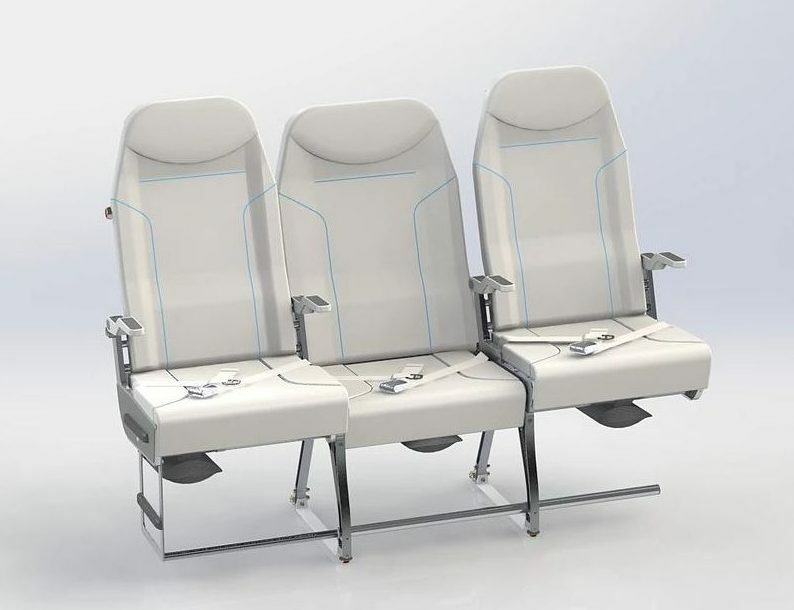 The three seats would be on a pole that are able to slide, making the aisle seat slide almost fully over the middle seat. The middle seat would not only be staggered, so it is further back from the other two seats, but it would also be three inches wider than the aisle and the window options. 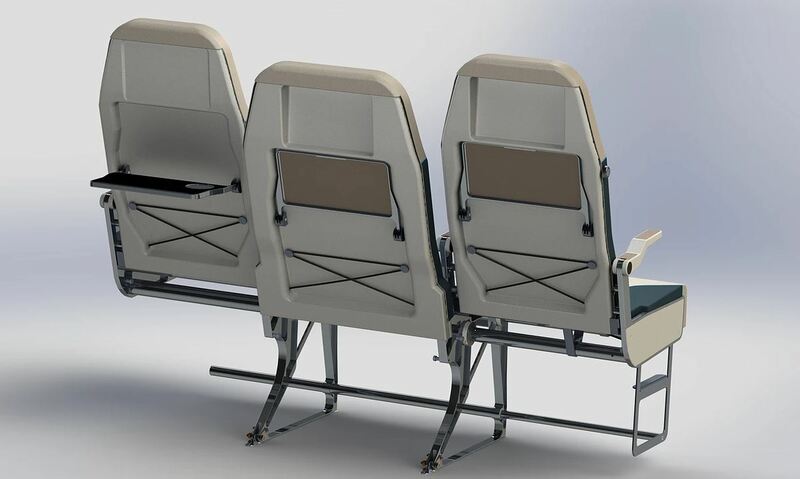 The design hopes to make the journey more comfortable and to help passengers board plane quicker, according to the airline, although issues with this found that middle seat passengers would therefore have to board last, seeing as their seat was slid under, causing more congestion in the aisles. 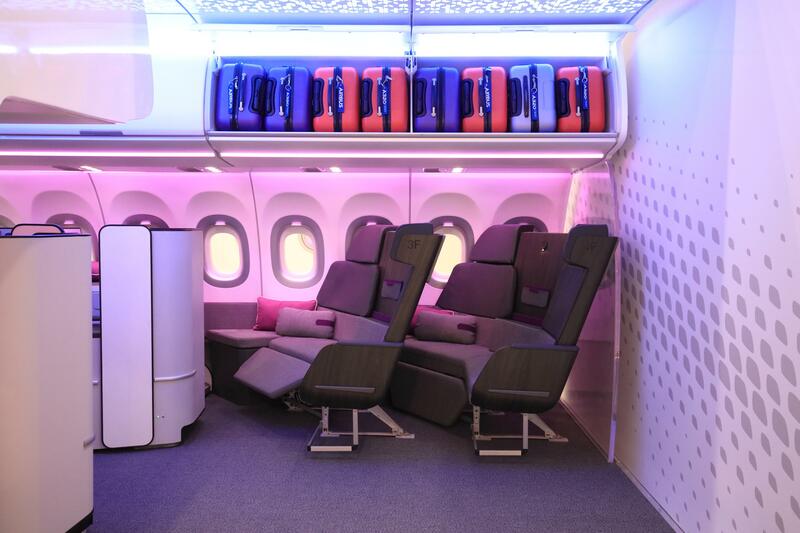 The concept of a sofa on a flight was recently introduced in Virgin Atlantic's new Upper Class suites. 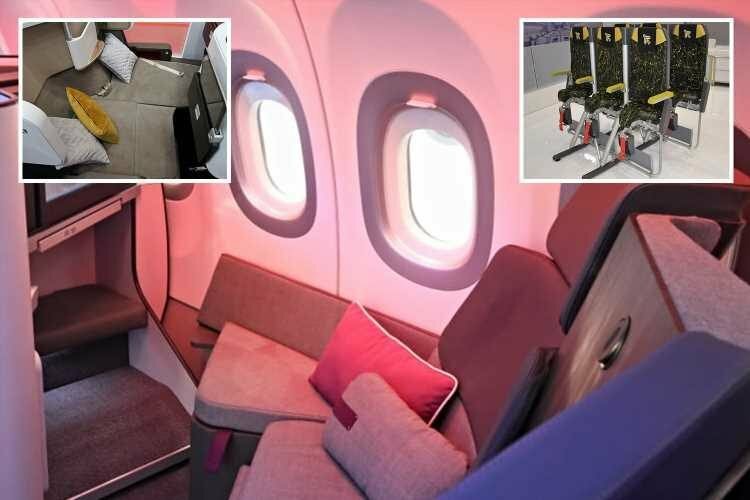 However Airbus' new "Settee Corner" could be introduced to business class as well, according to CNN. The seats would still recline, but instead would be a three-seat sofa rather than three separate seats. 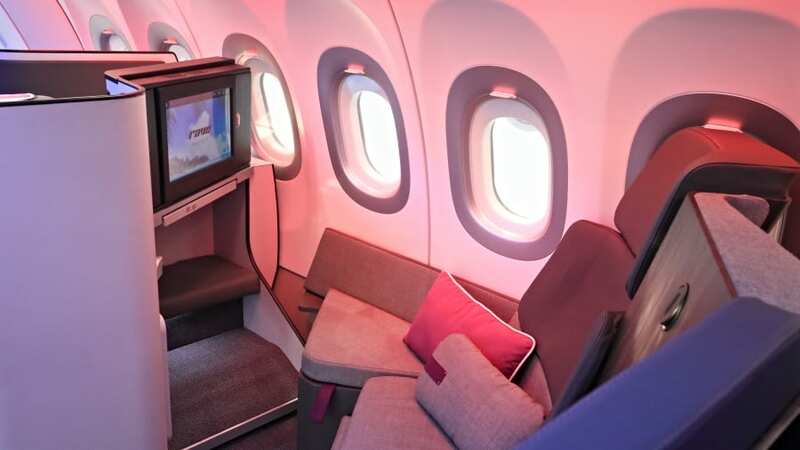 Not only that, but the seats are also lighter than standard business class seats and still have seatbelt functions along with in-flight entertainment screens. The idea of a standing seat was first suggested last year by Italian seating company Aviointeriors. 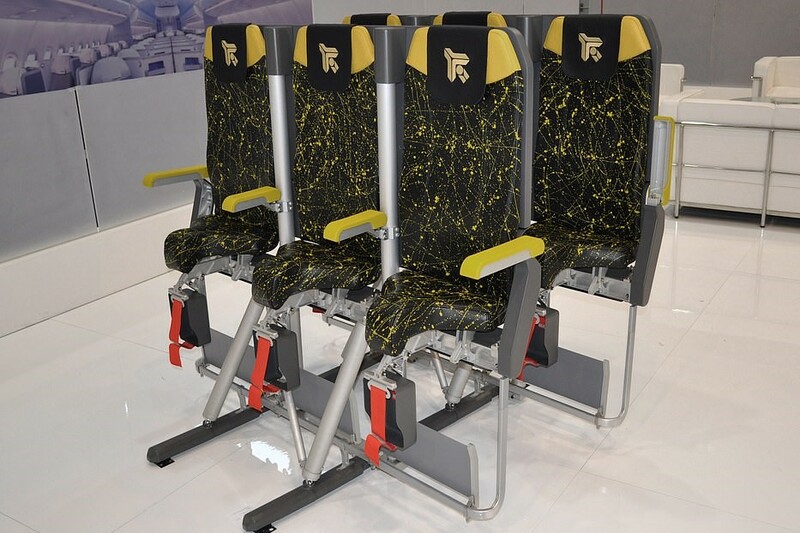 Called Skyrider, this year introduced the Skyrider 3.0 which made small changes such as removing a pole holding the seats together and introducing a coat hook. Instead of a full seat, passengers would perch on something similar to a saddle seat, and would be found on flights under three hours. They hope to increase passenger numbers by 20 per cent, however standing seats have not been approved by aviation authorities just yet. Other exciting seat suggestions for the future include "smart" seats which would be lined with conducting fibres. This would allow the seat to detect and adapt to the passenger, helping them to sit better and even tell them to drink more water. Also revealed at the Aircraft Interiors Expo were designs for plane cabins, with one suggesting sleeping bunks placed in the hold.